This company dated from before World War 1 and ran as one on the minor makes up to 1928. It then turned to other work, including building SGS machines for a couple of years, but reappeared in April 1930 with a single model. This has a 247cc Villiers engine in a diamond frame, a three-speed Burman gearbox and conventional appearance. 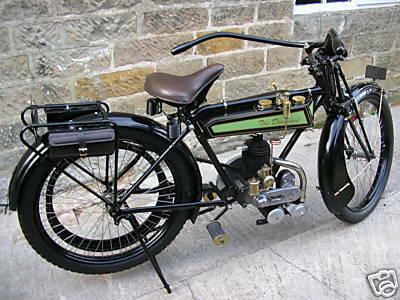 There was no range for 1933 but the firm did continue and to suit new taxation limit produced a model with a 148cc Villiers engine. This went into a simple frame with blade girders and was much as many others. From then on the company turned to trailers and milk floats, although late in 1953 there was a note in the press that they would make motorcycles to use Villiers engines to special order. It seems unlikely that any appeared. 1915 Diamond Model C 269 cc single speed.